Our beautiful pet friendly facility is located on Millersport Highway in Amherst, New York. 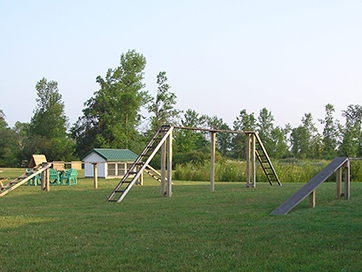 With large kennels, pet play areas and beautiful spacious grounds, Amherst Boarding Kennel provides a fun and relaxing place for your pets to vacation while you are away. Our dedicated knowledgeable staff have years of experience and an excellent understanding of your pets needs. Daily supervised exercise in one of our play areas or outside on our private, spacious grounds will ensure plenty of fun for your pet. 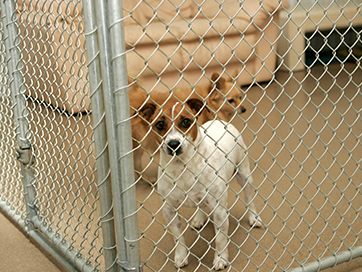 Our clean, private kennels provide a large and bright secure environment for your pet. 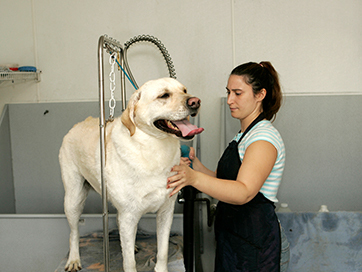 Luv on a Leash Pet Grooming is a full-service dog and cat grooming salon. 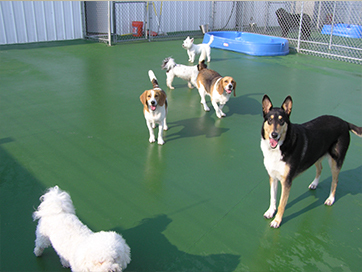 If your schedule is busy or you pet needs some play time, check out our daycare. A large training field and dog swimming pond are located on the grounds.